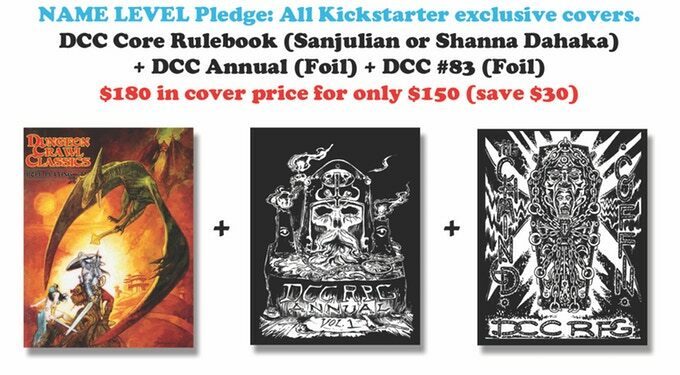 Last Chance for DCC Annual Kickstarter! 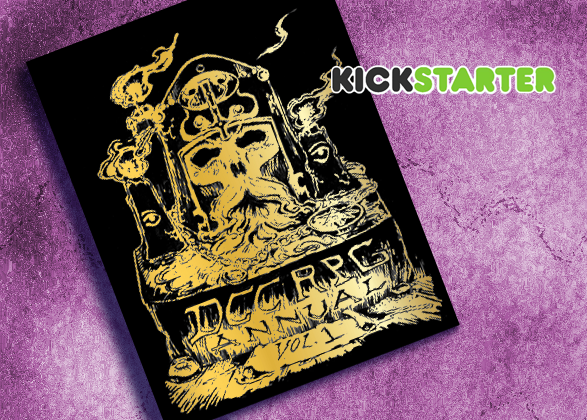 Home » Latest News » Last Chance for DCC Annual Kickstarter! 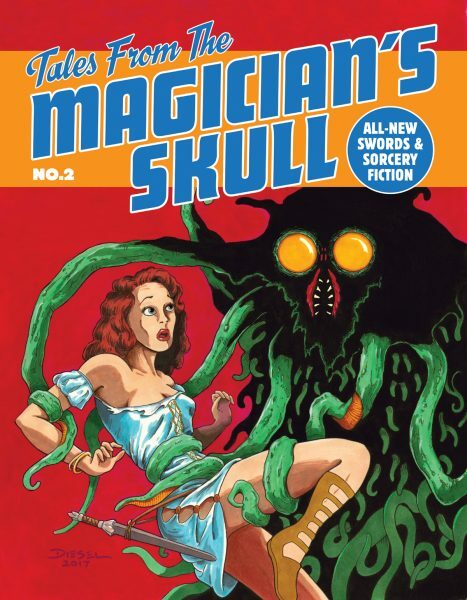 I’m talking about The DCC Annual Kickstarter of course. 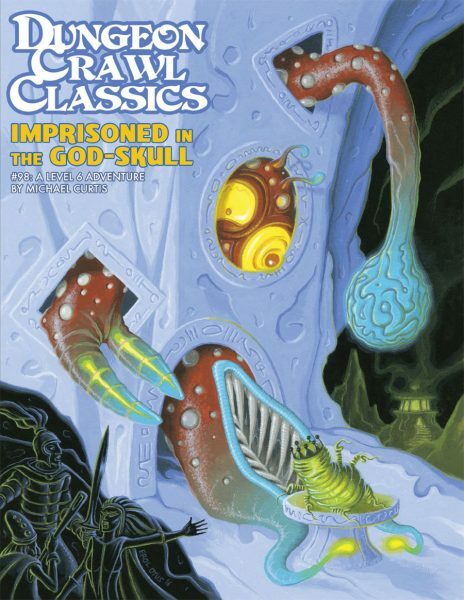 You only have a short time left to get in on this campaign which offers not only the oft-rumored DCC Annual, but also the new edition of The Chained Coffin and the latest printing of the Dungeon Crawl Classics hardcover! Why pledge now? First, the Kickstarter exclusives. You can only get the foil-imprinted logo versions through this Kickstarter. The distribution editions won’t look as snazzy! Second, the stretch goals, including a free poster, custom endsheets, and sewn-in satin ribbon bookmarks, among other things. And there are still some to be unlocked! 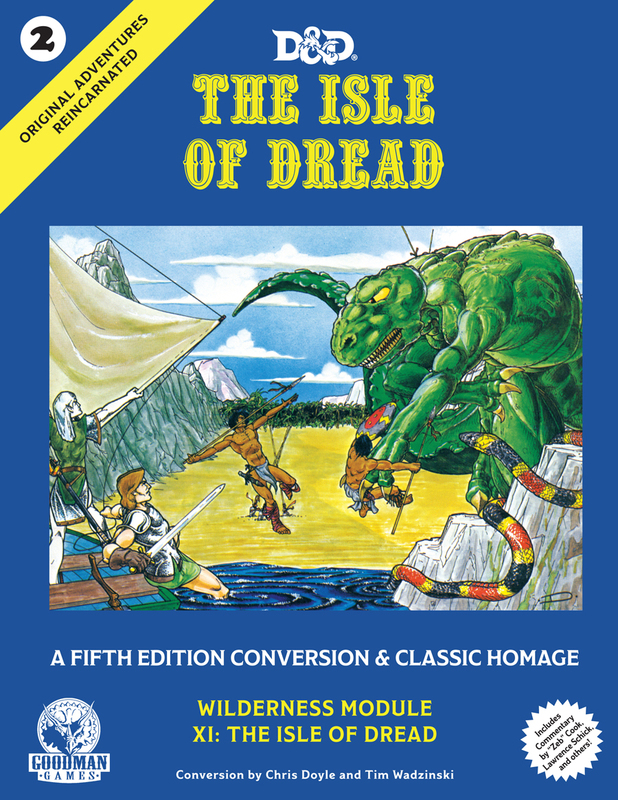 Third, the special add-ons only available with the Kickstarter. 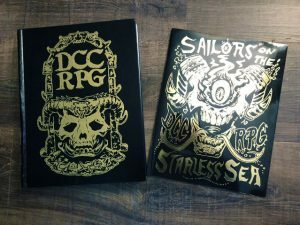 This is your only chance to get a DCC Demon Skull version of the core rulebook—or the hardcover demon skull edition of DCC #67: Sailors On The Starless Sea! 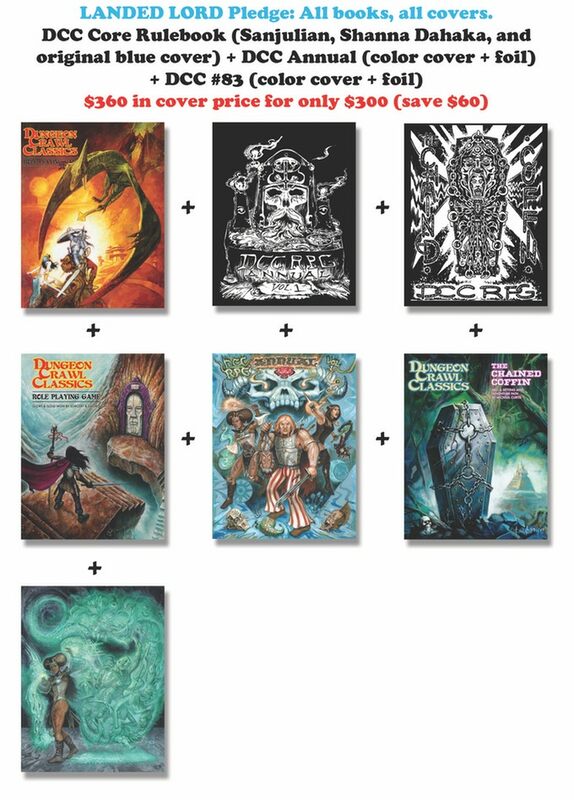 And finally, if you pledge now you get to be the first kid on your block with the awesome cover options by Doug Kovacs, Sanjulian, and Ken Kelly! And for Black Friday, we added a new wrinkle. 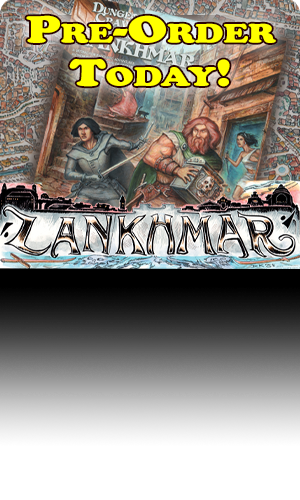 If you pledge at the hardcover level for ANY of the core books, you get five FREE PDF adventures. That’s right, FIVE. And you can get even more. For additional details read the Kickstarter post! Whew, that’s a lot…and there’s even more. 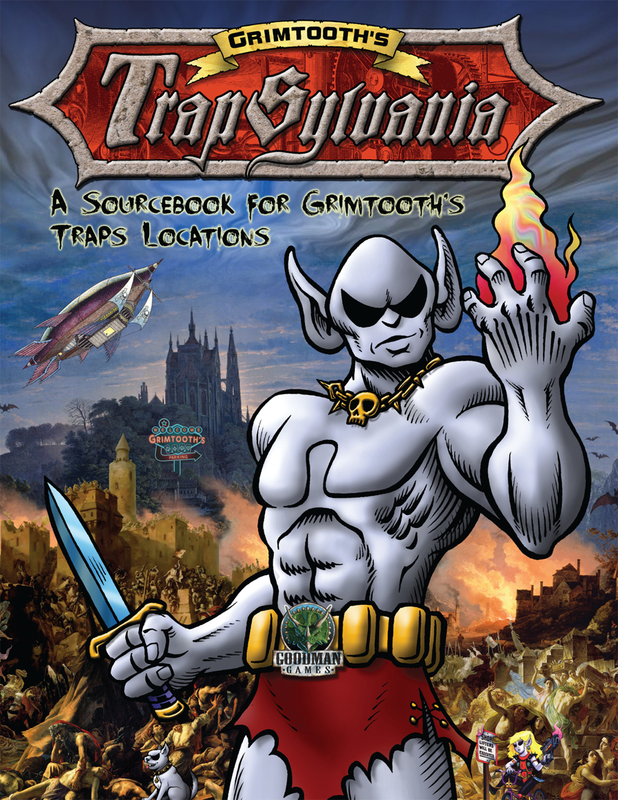 Including some stretch goals that can still be met. 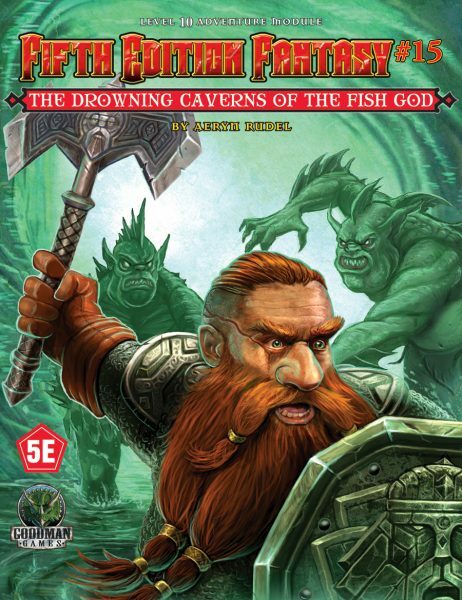 You need to check out the Kickstarter for ALL of the details! You only have until Sunday night to get your pledge in! 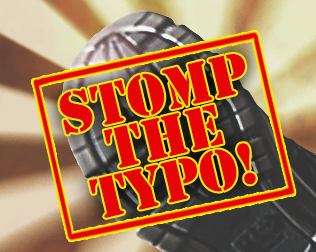 Head on over now!